The controllers that came with the Nintendo 64 don’t exactly measure up to the “Duke” of Xbox fame, but they’re not the smallest in the world either. 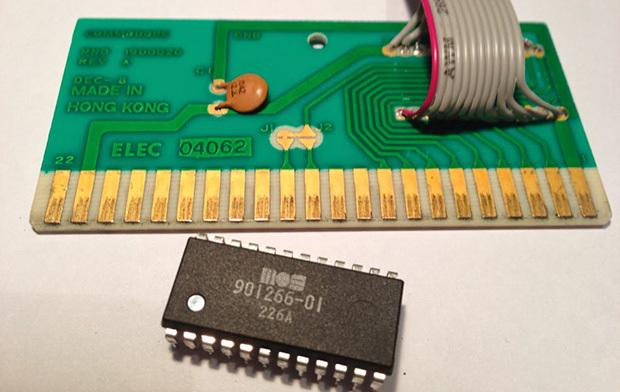 Made by Bacteria forum member [Bungle] says that his girlfriend has incredibly tiny hands, so he thought he might try trimming some of the fat from an N64 controller by cramming its components into an N64 cartridge. He tore down a 3rd-party N64 controller, tossing out the D-Pad, plug, and rumble motor, retaining all of the other buttons. 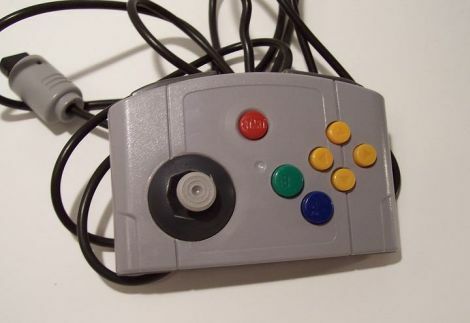 After gutting the game cartridge, he heated the back side under a lamp and stretched the plastic over a roll of electrical tape to make room for the N64’s trademark “Z” button. Having only removed the rumble motor due to size constraints, he found a suitable replacement at Radio Shack, which fills in for the original nicely. After a good amount of careful trimming, wiring, and mounting, he came up with the little gem you see above. We’re sure [Bungle’s] girlfriend is pleased with his work, and he seems happy with how it came out as well. Continue reading to see a short video showing off [Bungle’s] latest creation.